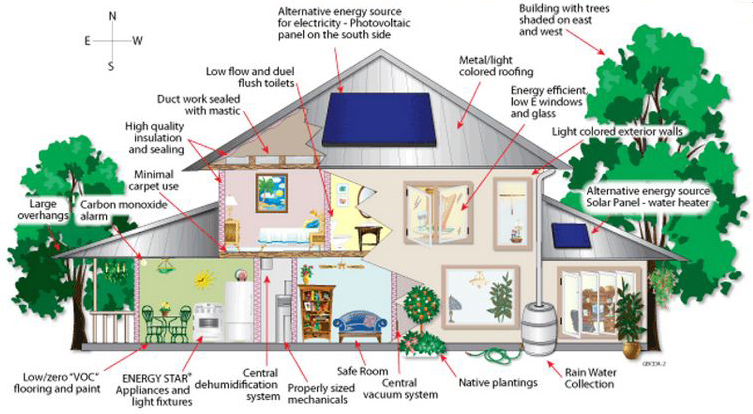 Green Building is a design, construction and usage approach for structures that are intended to be environmentally responsible and resource-efficient. Elements of concerns begin with site planning and building design, to construction materials and techniques, the operation and maintenance during the life of the structure, and often demolition or de-construction of previous structures on the site. These concepts expands and complements the timeless building design principles of economy, utility, durability, and comfort. Although technologies and construction methods are constantly being improved and further developed to complement current practices, the common objective is that green buildings are designed to reduce the usage of energy, water, and other resources. As time moves forward, not only do we have an obligation to build and operate structures more efficiently, we also have monetary advantages as well. With regulatory agencies forcing our hand in this direction with code and zoning changes, Green has become more and more involved in most aspects of the overall building process.